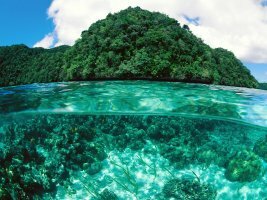 Palau is a presidential republic in free association with the United States, which provides defense, funding, and access to social services. Legislative power is concentrated in the bicameral Palau National Congress. Palau's economy is based mainly on tourism, subsistence agriculture and fishing, with a significant portion of gross national product (GNP) derived from foreign aid. The country uses the United States dollar as its currency. Tourist activity focuses on scuba diving and snorkeling in the islands' rich marine environment, including its barrier reefs' walls and World War II wrecks. Palau mainly exports fish and related products. Major export partners are Japan, the US, Mexico, Cote d'Ivoire, Guam, Hong Kong, Philippines, Germany. Palau's economy is mainly dependent on tourism. Tourist activity focuses on scuba diving and snorkeling in the islands' rich marine environment, including its barrier reefs' walls and World War II wrecks. The government is the largest employer, relying heavily on U.S. financial assistance. That's why to fulfill all the tourists' needs and maintain the growth of this sector, Palau's imports are concentrated on oil, cars and machines, food, water and drinks. The service sector dominates the Palauan economy, contributing more than 80% of GDP and employing three-quarters of the work force. The government alone employs nearly 30% of workers. One of the government's main responsibilities is administering external assistance. 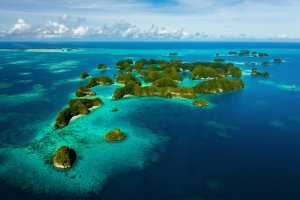 Under the terms of the Compact of Free Association with the United States, Palau will receive more than $450 million in assistance over 15 years, $30 million per year, and is eligible to participate in more than 40 federal programs. The first grant of $142 million was made in 1994. Further annual payments in lesser amounts will be made through 2009. U.S. grants in 1999 totaled $24 million. Construction is the most important industrial activity, contributing over 9% of GDP. Several large infrastructure projects, including the rebuilding of the bridge connecting Koror and Babeldaob Islands after its collapse in 1996 and the construction of a highway around the rim of Babeldaob, boosted activity at the end of the 1990s. Agriculture is mainly on a subsistence level, the principal crops being coconuts, root crops, and bananas. Fishing is a potential source of revenue, but the islands' tuna output dropped by over one-third during the 1990s. There are no Patent Laws in Palau. Palau's major imports include oil, water, machinery and equipment. Japan, the US, Singapore and Republic of Korea are major import partners of Palau. It is a member of the Pacific Island Countries Trade Agreement (PICTA). Palau is an island country located in the western Pacific Ocean. It is geographically part of the larger island group of Micronesia. The country's population of around 21,000 is spread across 250 islands forming the western chain of the Caroline Islands. The most populous island is Koror. The capital Ngerulmud is located in Melekeok State on the nearby island of Babeldaob. The islands share maritime boundaries with Indonesia, the Philippines, and the Federated States of Micronesia. Every person who imports into Palau any of the enumerated products in the “General Information on Tax Laws and Business Licenses” shall pay import tax regardless of purposes. 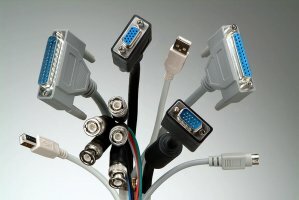 The amount to be charged varies depending on the type of item being imported. Things needed through the Airport: airway bill, invoice, packing lists, bill of sale. Things needed through Port: Bill of landing, invoice, packing lists, bill of sale. All things must bear a value.